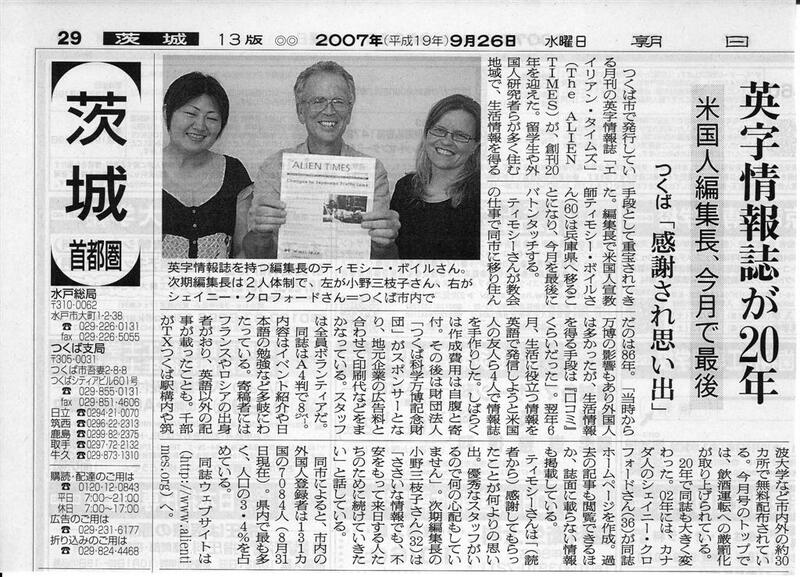 Alien Times was featured in an article in the Ibaraki edition of Asahi Shimbun. The article briefly discusses the history of the Alien Times from its conception in 1987 to the present day situation. The Alien Times website is also mentioned. Perhaps this article will help to raise the profile of the newsletter so that we can continue to receive funding from the Expo Foundation and increase our revenues from advertising. The article is going to be deleted from the Asahi Shimbun site in two weeks, so here is the text.